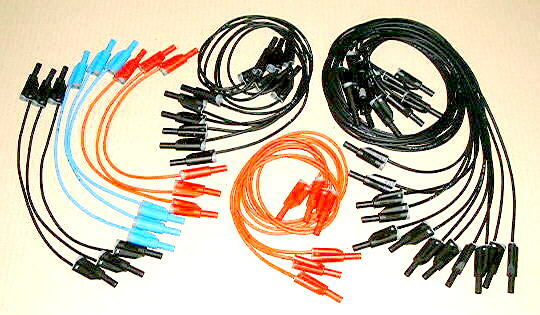 This set consists of 30 leads in 3 different coded colours and lengths chosen to allow the realisation of all experiments provided in the manual. 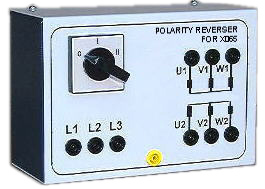 Leads are capable of 16A current intensity and are terminated on banana-banana plugs. This set includes also the storage rack. 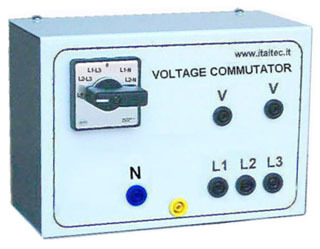 The three phase shifter output voltage is 220/380V with posibility to shift the phase of input voltage against the phase of output voltage of 0 to 360 electric degrees. 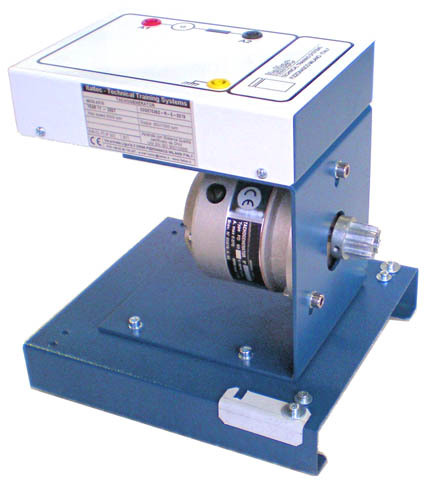 Device for block the rotor of the three-phase asynchronous motor cage and slip-ring. Three-phase ON-OFF switch for direct start of 3ph induction cage motors with power up to 2kW. 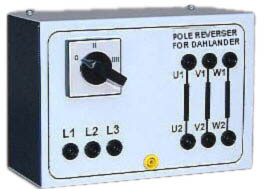 3 phase D.O.L. starter possibility to invert the rotation direction. 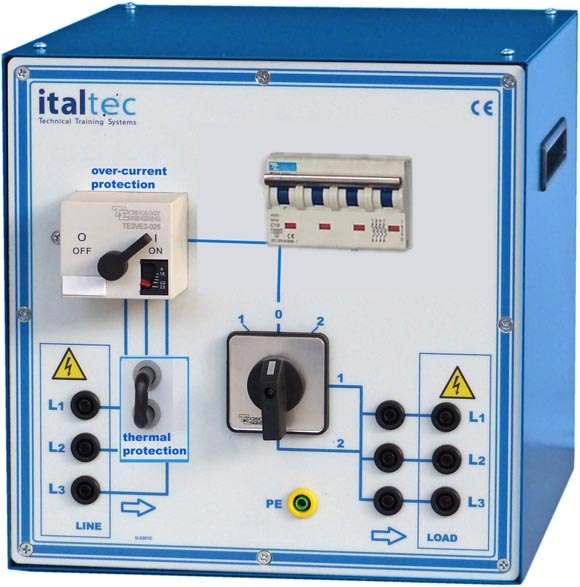 It can be used up to 2,5kVA. 2 windings 3 phase motors, "Dahlander" type. 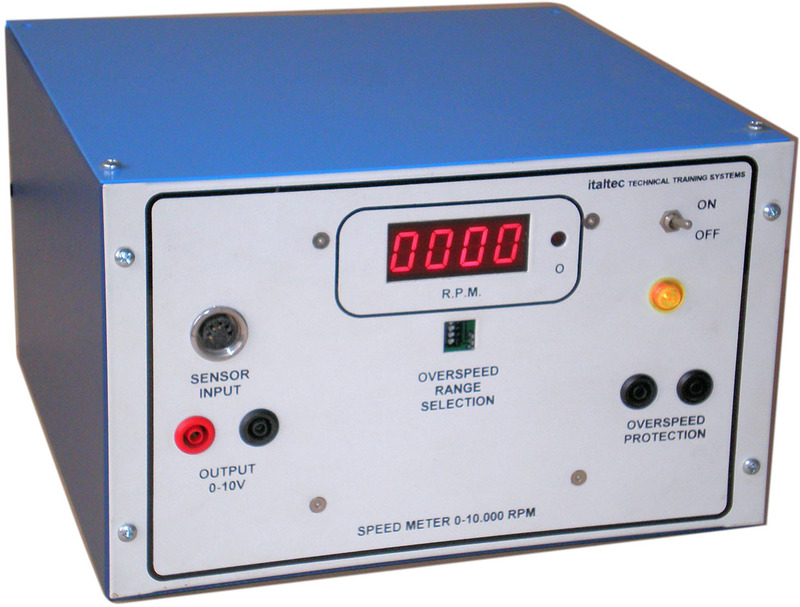 It can be used up to 2,5kVA. 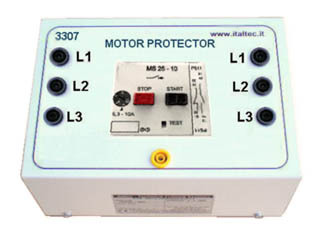 Polarity commutator for 3065 motor with star-delta connection. 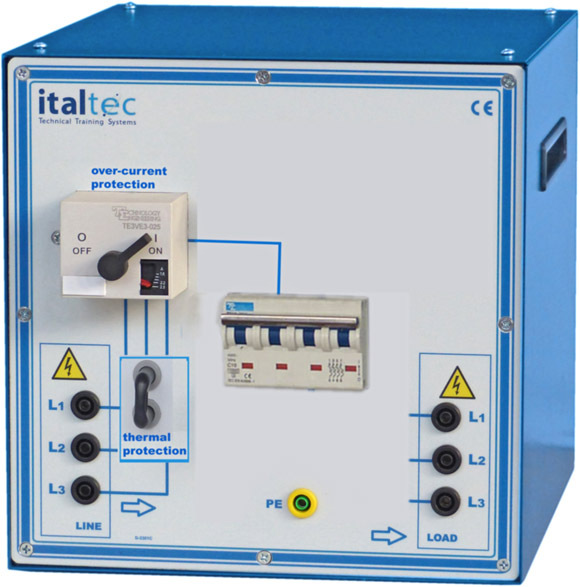 It can be used up to 2,5kVA.